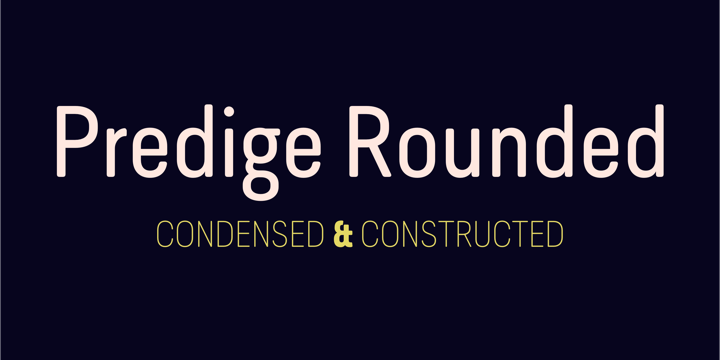 Predige Rounded is a condensed & constructed sans serif published by Type Dynamic in 2014. This rounded font is part of the Predige family. It has 7 weights (from Hairline to Black) and their italic. Also it comes with Open Type Features, Ligatures, Fractions, Tabular Figuresand many other useful things to your projects. Enjoy! A font description published on Tuesday, March 25th, 2014 in Fonts, Type Dynamic by Alexandra that has 4,934 views.